3. Select Notifications in the Alert Console. 4. 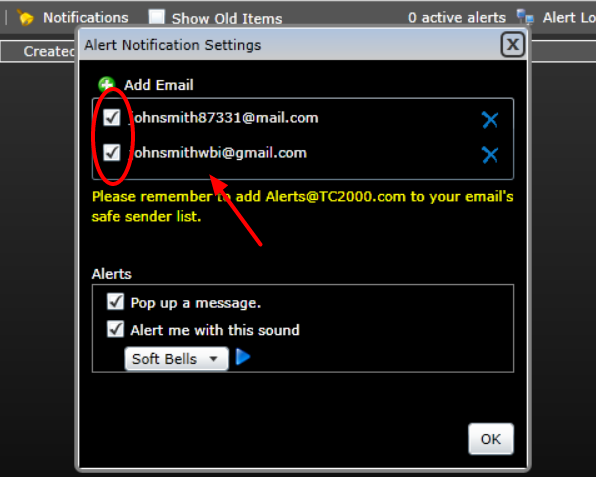 Click on Add Email. 5. 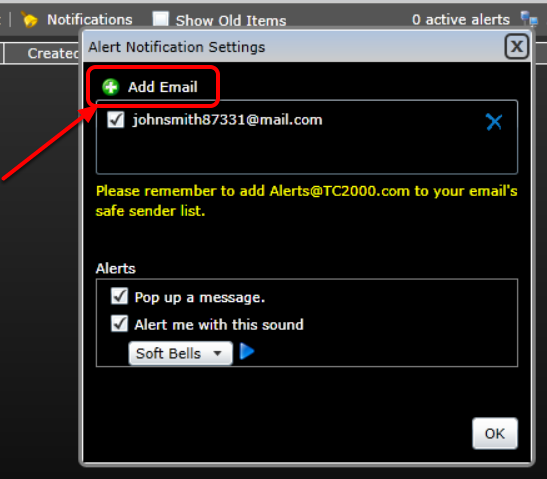 Make sure Email Address is selected and type the email you would like to have your alerts sent to. 7. 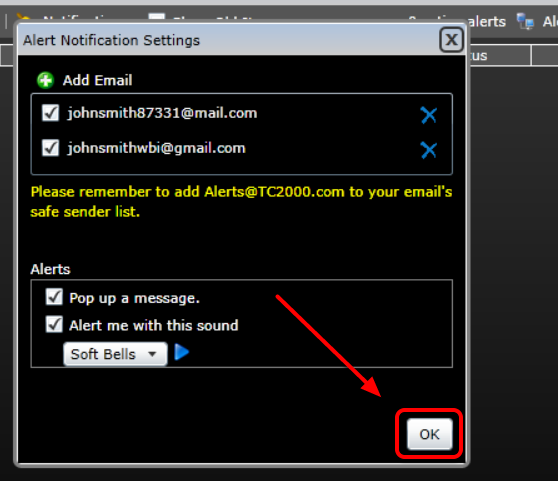 Any emails checked off will receive email alerts. 8. 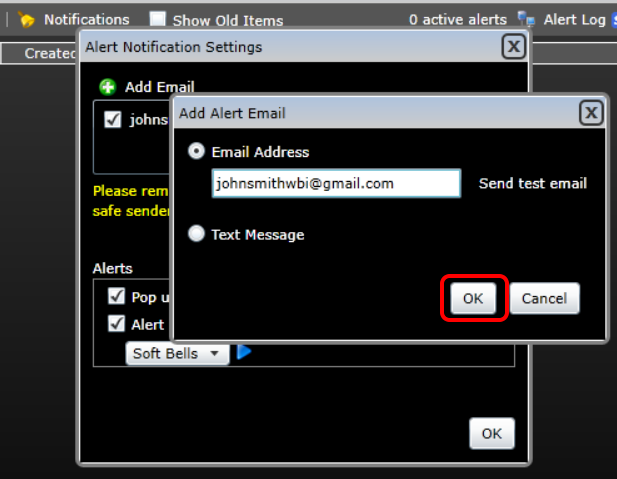 Select Ok to save and close the Alert Console.